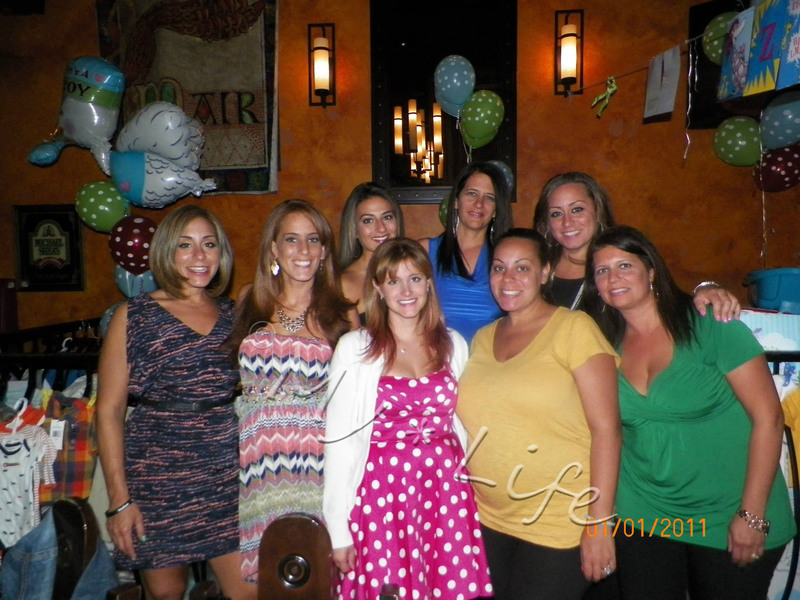 My cousin Maggie is having a baby! She’s due to have Brodie at the end of November. I can’t wait to meet him, but first things first. We have to first shower her with gifts! Her shower was last weekend, and me and the TR crew all pitched in and got lots of gifts for Brodie, including lots and lots of clothes. 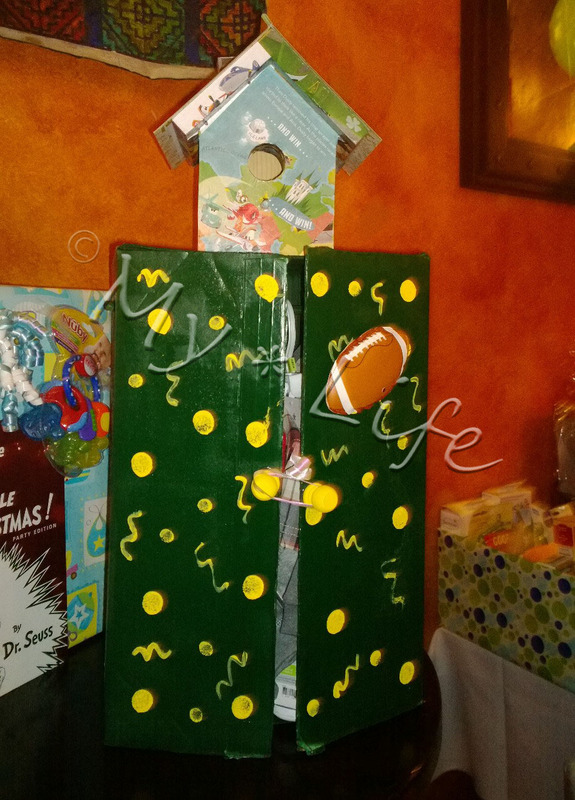 Instead of stuffing clothes in a gift bag or box, I have the cutest way to display your baby clothes gift. 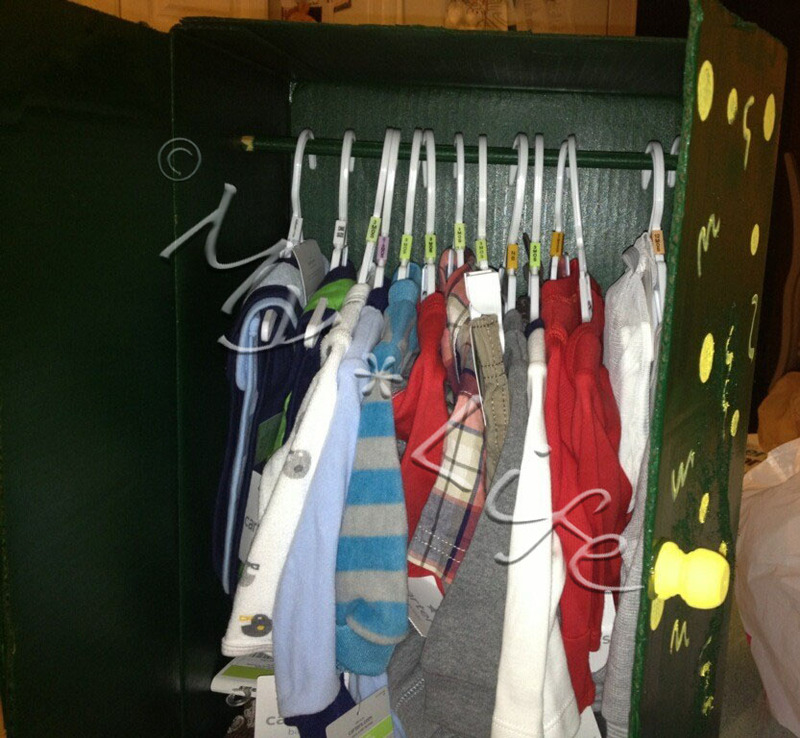 It’s perfect for a shower or a baby’s birthday, and it’s super simple: build a wardrobe. 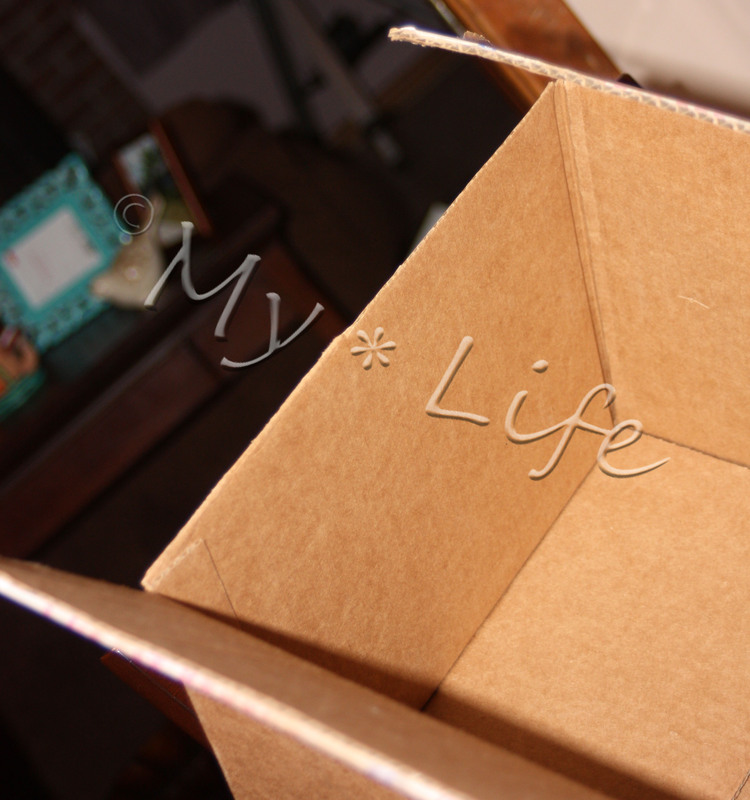 All you need is a long cardboard box, a 3/8″ wooden rod (you can get one at any craft store), some paint, an X-Acto knife (or scissors), doll house knobs (or buttons, beads, hooks, or any small charm will work), and a hot glue gun. 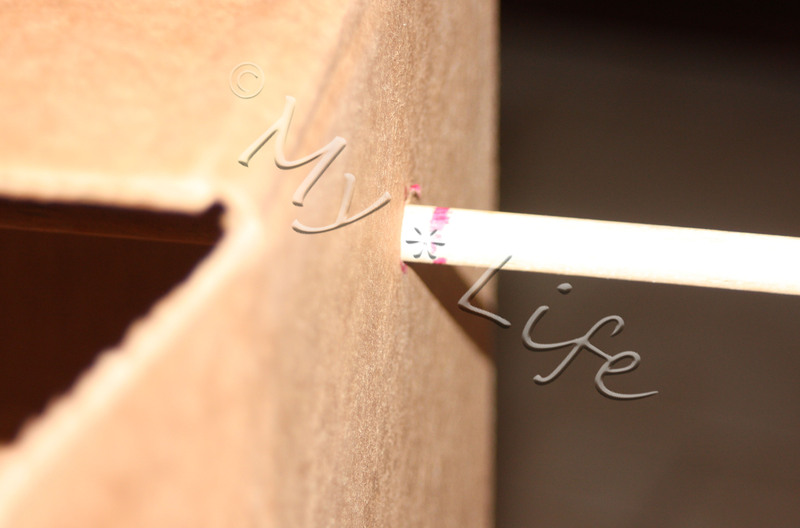 First, cut off the two short flaps off the box. 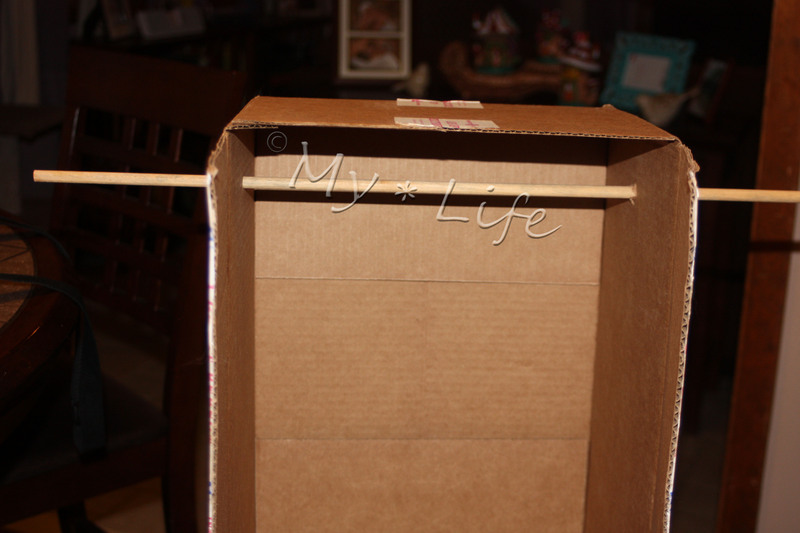 If your box is long enough, you can use the flaps to create a small shoe shelf at the bottom of the box by just gluing or taping the cardboard on the inside of the box, about 3 or 4 inches from the bottom. If your box is too short, that’s ok (mine was). Next, add the rod for hanging. Measure 6 inched from the top of the box, and the halfway point of the depth of the box. 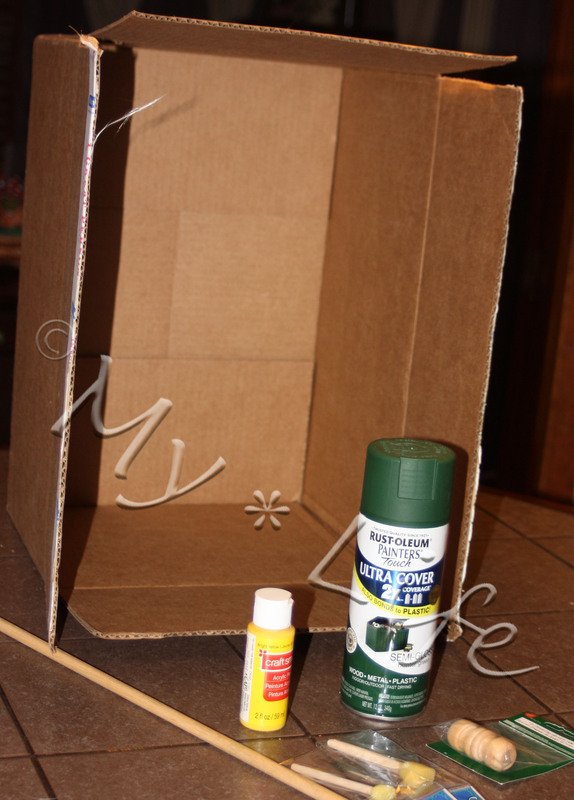 You want to make sure you mark in the same spot on both ends of the box so the rod is level. 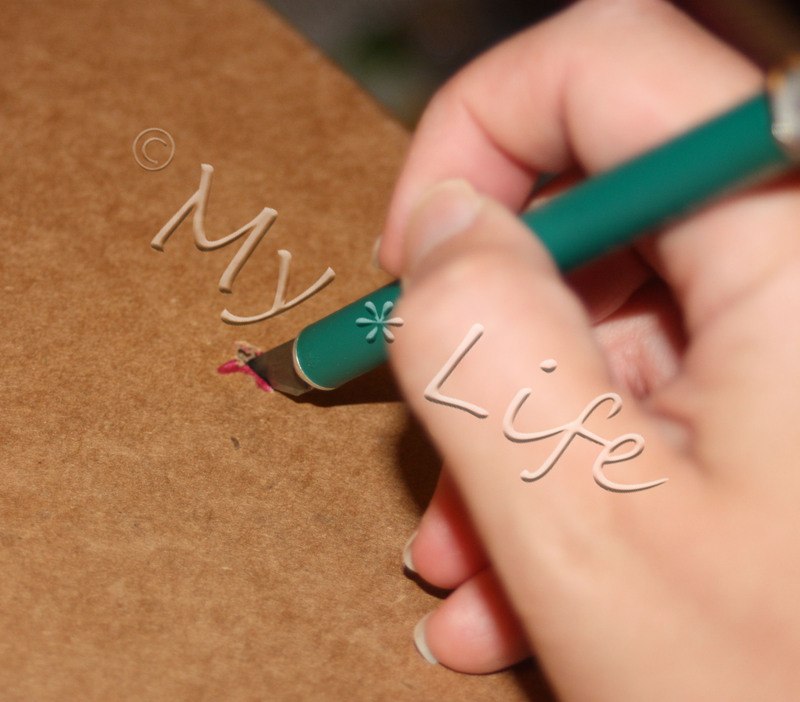 Once you mark both sides of the box with a pen, cut an X over the marks with your X-Acto knife. Now, you will be able to push the rod through the cut X and through to the other side. 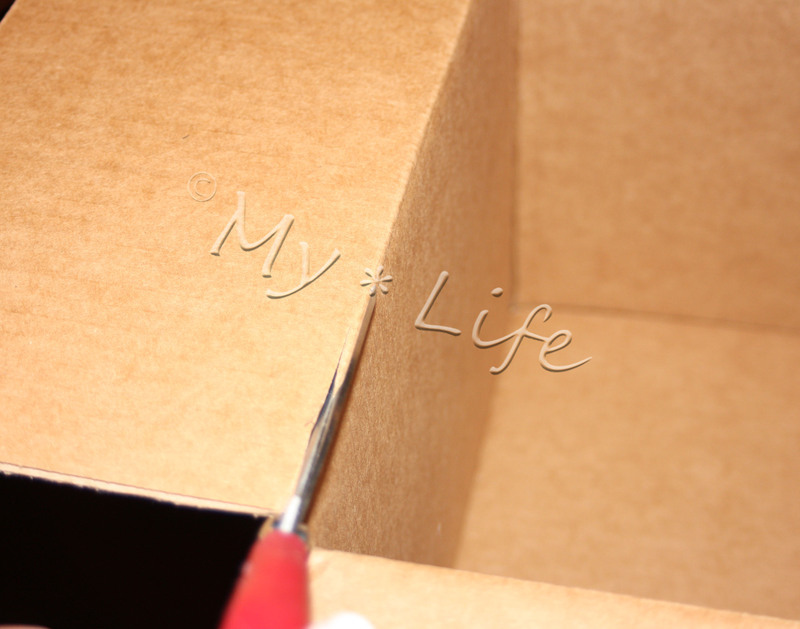 If your rod is too long, mark where you need to trim the rod, take it out of the box, and score and cut it. You can score the rod with a shape knife, saw, or I used scissors. (It was dark outside, and I was too lazy to venture out in the shed for the hand saw. I utilized Matt’s man-strength to do it with scissors). All the hard stuff is over. Now for the fun of decorating! I Let my sister take over with the decorating for Maggi’s wardrobe box. 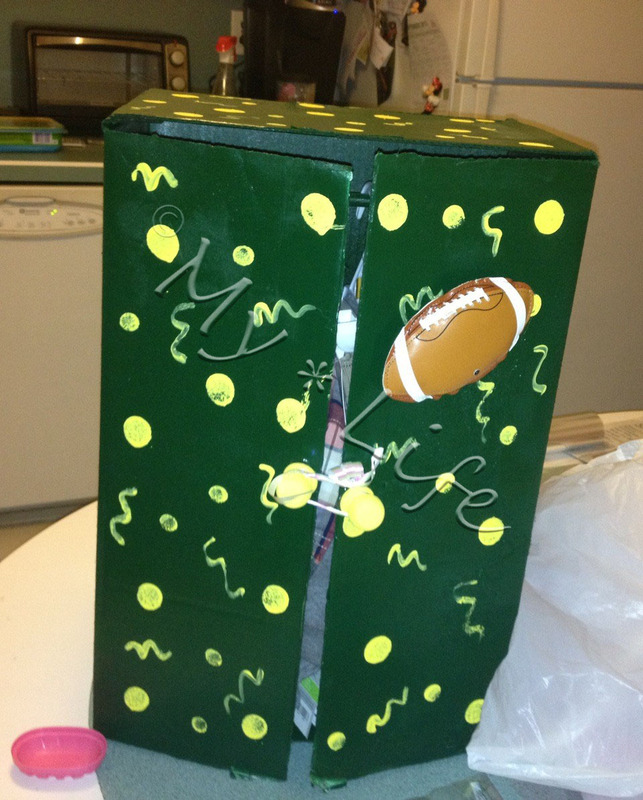 Nancy first spray painted the box green (inside and out). 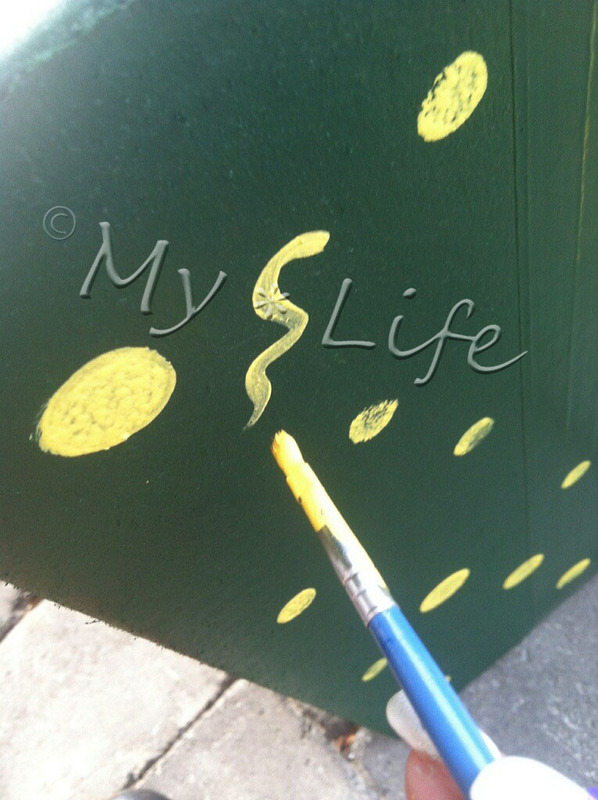 She then used a round sponge brush to add some yellow polka dots and swirls. 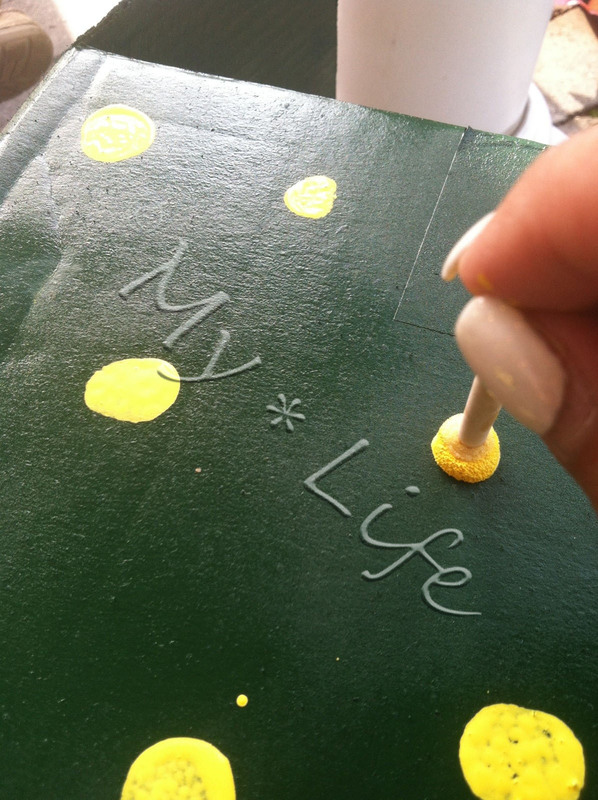 We used tiny wooden knobs we found at the craft store, painted them yellow, and hot glued them on for the wardrobe’s handles. You can paint and decorate the wardrobe however you like. If you have time, two toned paint might be nice to mimic the look of beveled wood. You could also use some craft stickers or ribbons to jazz it up. 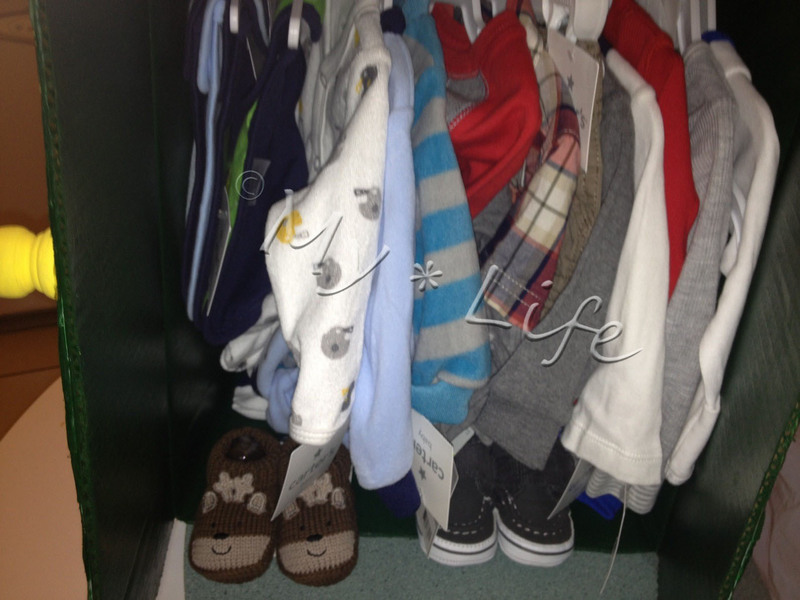 Everyone loved the wardrobe. It’s such an easy way to make your gift stand out, and it’s always a hit. 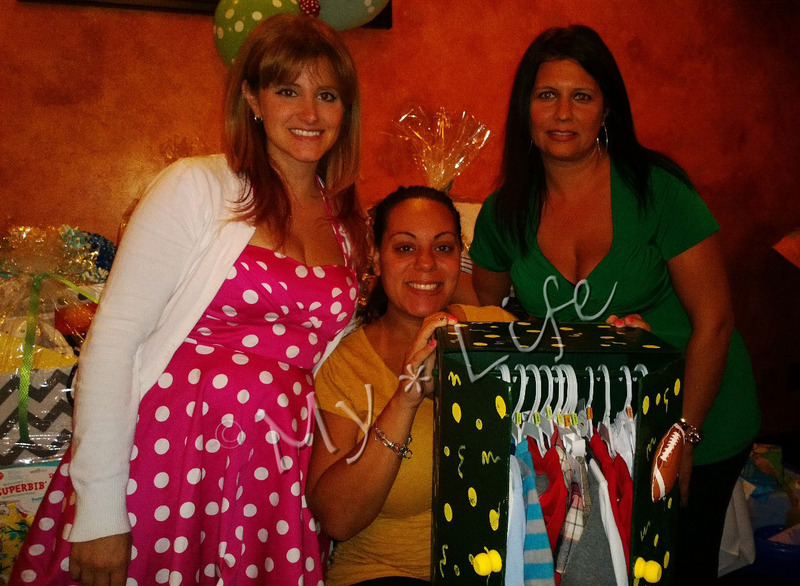 Give it a shot the next time you give a gift of baby clothes, and let me know how it goes!